From the outset, The Navigators and local church pastors helped him grow in Christ, teaching him how to pray and to read, study, memorise and meditate on the Bible—disciplines Tour continues to this day. 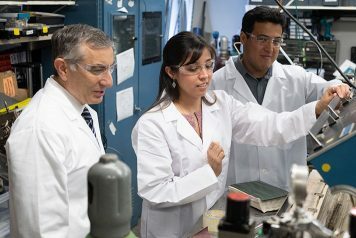 Tour (left), Gladys López-Silva and Rodrigo Salvatierra use a film of carbon nanotubes to prevent dendrite growth in lithium metal batteries, which charge faster and hold more power than current lithium-ion batteries. 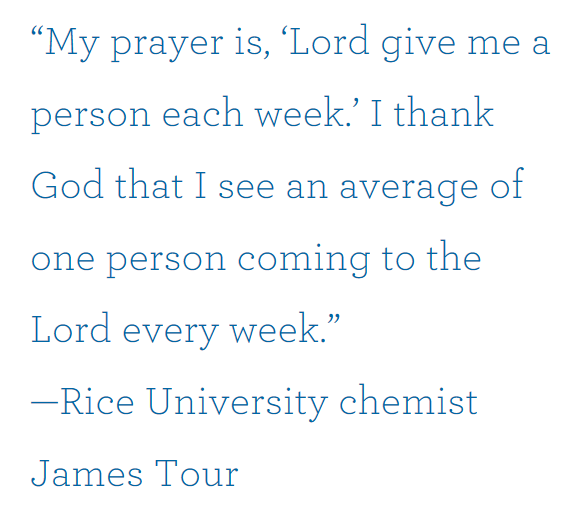 In December, while at a lunch table, two physics professors queried Tour about his faith. “Do you mind if I tell you my story of how I became a Christian?” he asked them. “Sure, go ahead,” they responded. Twenty minutes later they were praying to receive Christ as Saviour. Amazingly, God opened the door on a flight to California for Tour to talk about Jesus with Dr. Richard E. Smalley, a professor of chemistry, physics and astronomy at Rice, who co-shared the Nobel Prize in chemistry in 1996. 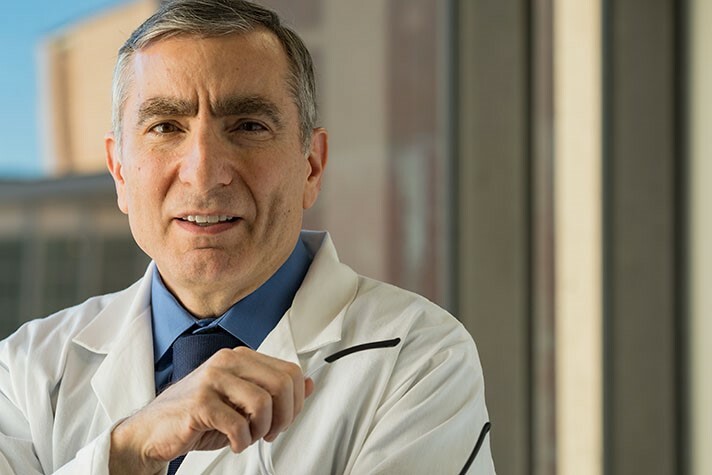 Jackson relates how three doctors from a country in Asia once came to do research for a year at the nearby Texas Medical Centre. They visited Tour’s class at church, listened to him, interacted with him and prayed to receive Christ. Jackson spent months with the doctors and their families, nurturing their faith. They returned to their home country, and Jackson got to visit with two of them while on a recent business trip. They’ve remained faithful. Richard Greene is a former Decision assistant editor. He recently retired as a senior editor at Samaritan’s Purse in Boone, N.C.